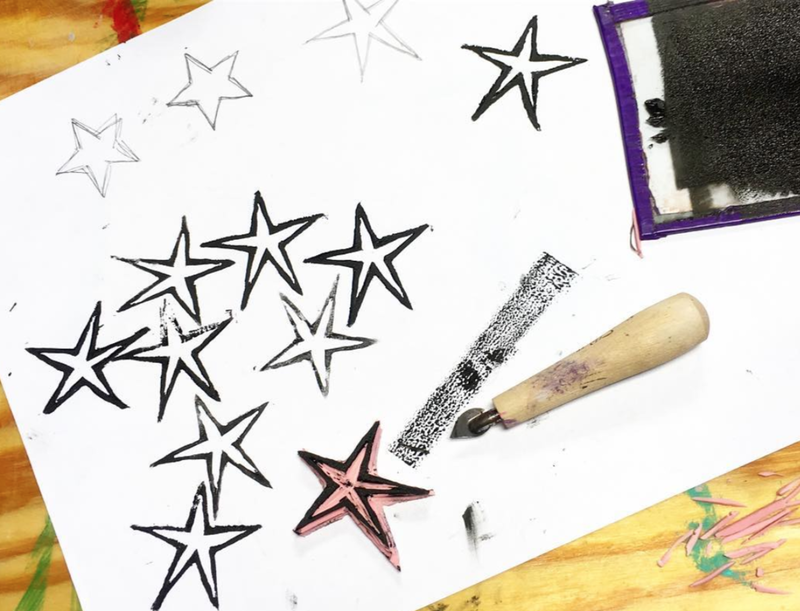 This course is a beginner's study of linoleum block printing. Students will carve several different pieces and take home their very own carving tools when the course is complete. Cyanotype printing is a photographic printing technique that results in a blue, or "cyan" monochromatic product. In this class students will learn about Anna Atkins, a botanist and photographer who used cyanotype sun printing in her work. Batik is a technique decorating cloth using wax resist and dye to form a pattern. Students will learn how to dot, brush and decorate with hot wax using a special tool called tjanting, as well as free painting with brushes. This is a one-of-a-kind opportunity! 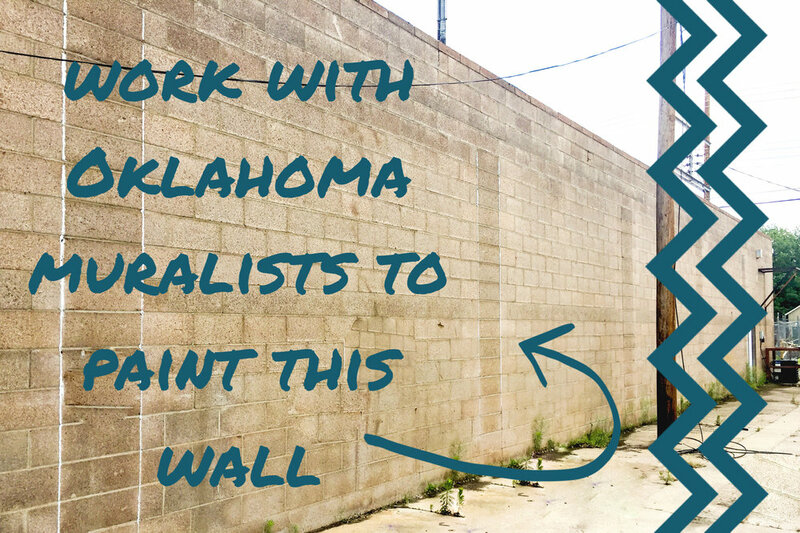 Work with Oklahoma mural artists to paint the alleyway behind the 400 block of east Main Street. Think the early beginnings of "Plaza Walls" in Oklahoma City. - Artists: Oil & Clay Studio owners Nora Hall and Louisa Brewer will be facilitating a "paint by numbers" interactive mural for the community to participate in!